A few of us Quark Expeditions recently had the pleasure of attending our first Google+ hangout with some grade one students from Quaker Ridge School in Scarsdale, NY. The kids at Quaker Ridge are studying Antarctica and had many great questions for us about why it's important not to touch penguins, what to eat when you're in Antarctica, whether or not there are schools in Antarctica, and most importantly, what happens when you have to go to the bathroom in Antarctica! Naomi and Courtenay patiently described what working in and visiting the white continent is like for those of us at Quark, creating many new Antarctic ambassadors in the process! 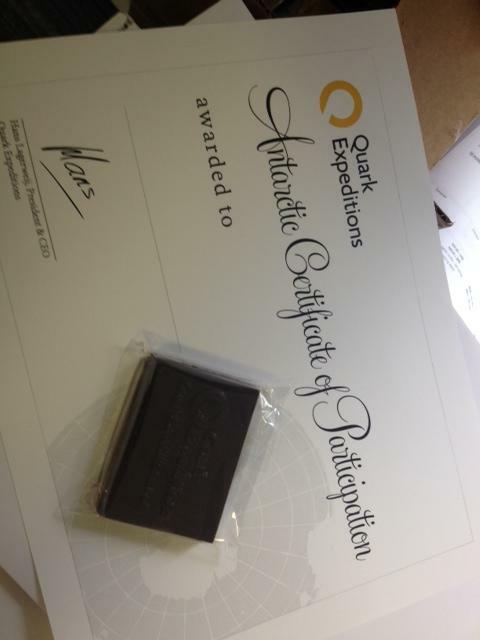 Here is the official customized Quark Expeditions Antarctic Certificate of Participation we sent to each child (this one we left blank for photographic purposes)..and the official chocolate of Quark Expeditions! Don't forget to brush those teeth, kids! A big thank you to the grade one students of Quaker Ridge School, teacher John Calvert who helped get this whole thing set up, and the other teachers involved. 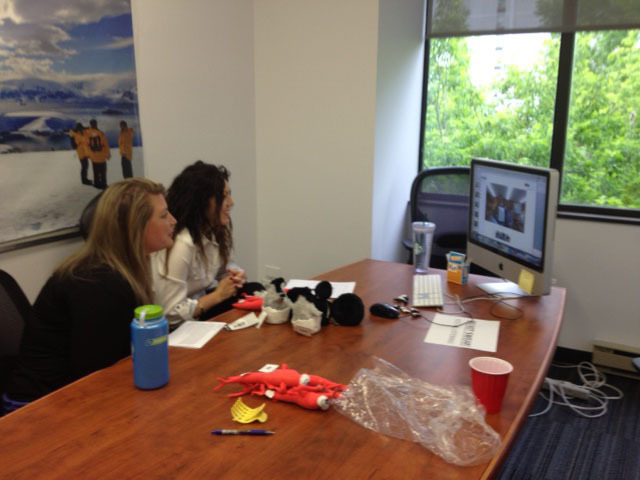 We had a wonderful time creating future Antarctic Ambassadors and would be happy to "hangout" with you guys any time!